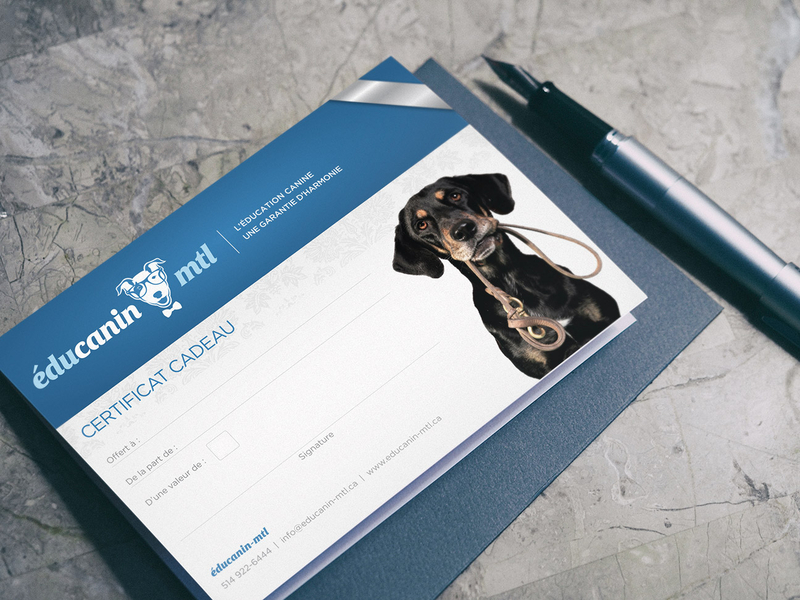 Since 2010, Éducanin Montréal has stood out in the Montreal dog training services market by its simple, smart and effective method, which is based on emotional and cognitive dog abilities. 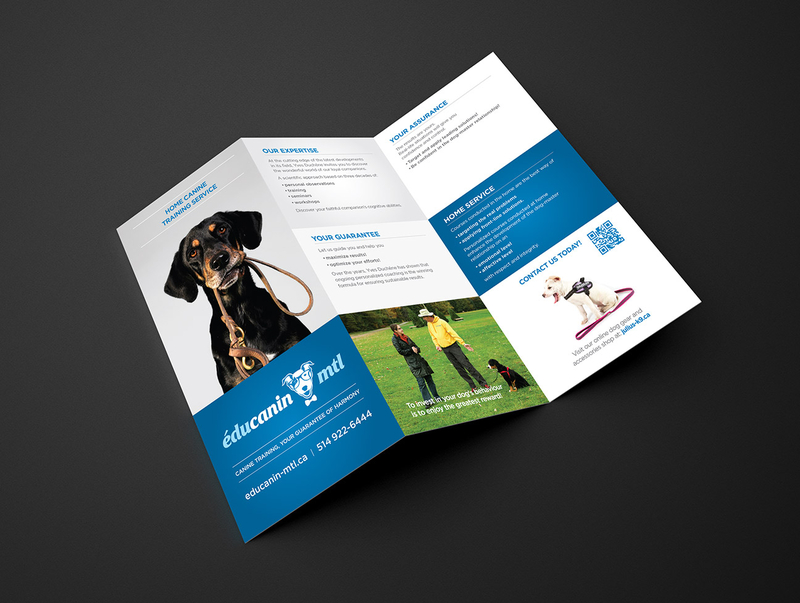 In addition to home-based lessons, the company also offers various advice, boarding services and massage therapy. 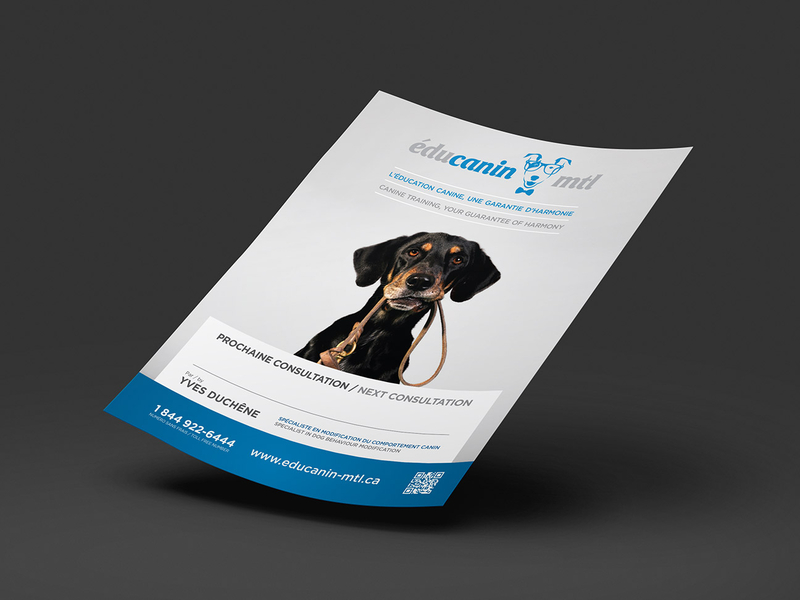 Mandate: As a part of a promotional campaign to increase the company’s visibility in the greater Montreal area, our client asked us to rework their brand identity and visual platform. 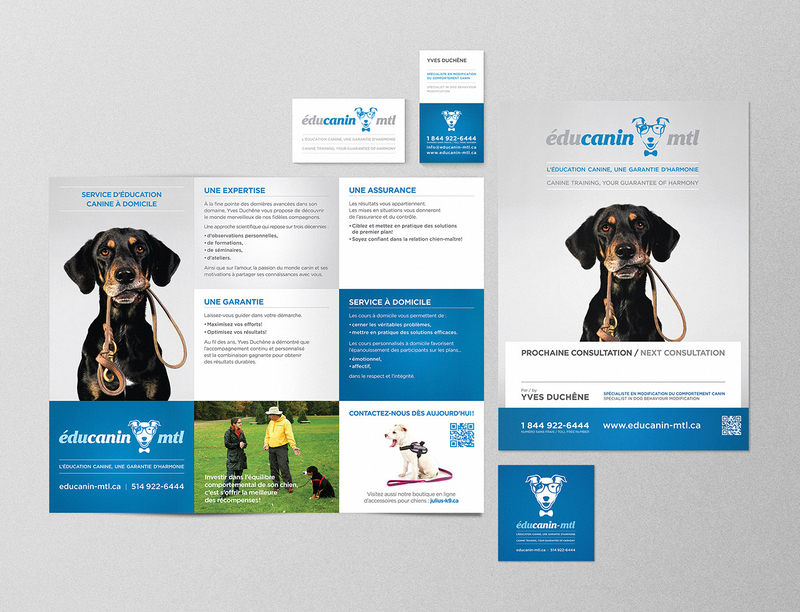 Visually, our goal was to convey a simple, intelligent and positive training method. 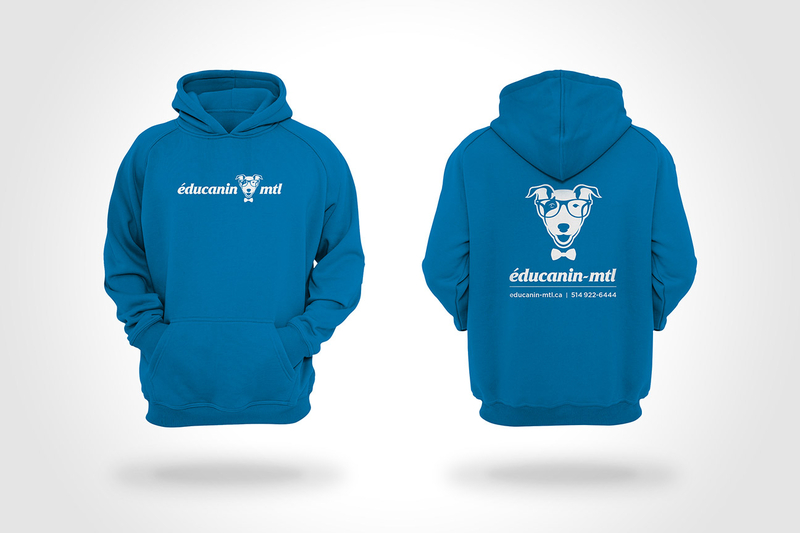 We proposed a joyful and playful approach, which we achieved by creating Jack: a smiling Jack Russell wearing glasses and a bow tie. 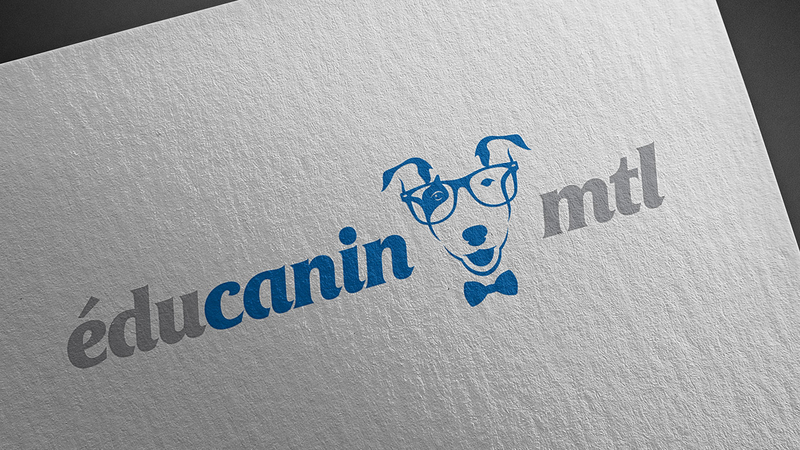 Our smart dog character was then paired with a round and dynamic typography to complete the company logo. 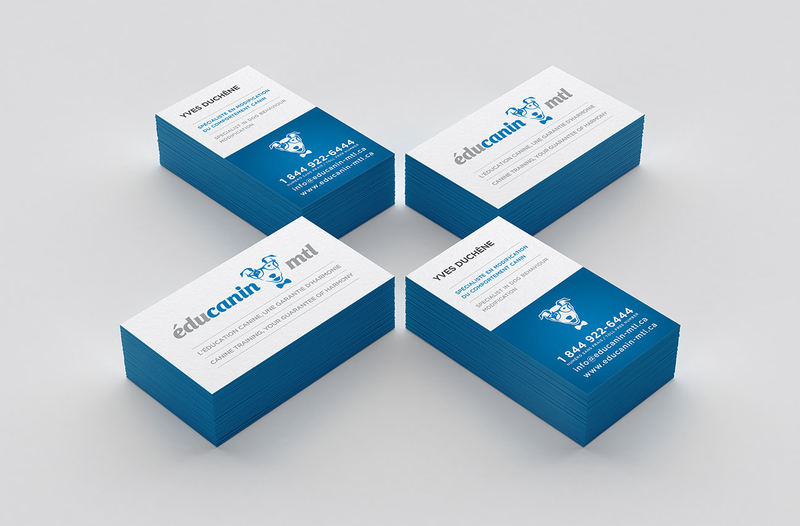 We subsequently diffused the new identity through a variety of print and digital promotional tools.